Holy Cross Energy, which supplies seven ski areas including Vail and Aspen, recently announced the goal of achieving 70 percent clean energy by 2030, compared to 39 percent now. That goal articulates unusual ambition even in a time of rapidly plunging prices of renewables. Unlike the spurt of 100 percent goals adopted by towns and cities, Holy Cross has the responsibility for actually delivering. This 2030 goal also pushes beyond those adopted by New York and New Jersey of 50 percent renewables for the same year and California’s 60 percent. Hawaii, which is heavily dependent upon burning expensive oil to produce electricity, has a higher but longer term goal: 100 percent by 2045. Bryan Hannagen, the chief executive, says Holy Cross has a more ambitious goal in that it thinks it can achieve 70 percent clean energy without raising prices. “What makes this more ambitious is that we said that we will do it without any increases in power costs. Nobody else has committed to doing that,” says Hannagen, who joined Holy Cross in late 2016 after a stint at the National Renewable Energy Laboratory. To achieve the goal, Hannagen will also have to figure out how to shed the Holy Cross ownership in a coal-fired power plant. It has an 8 percent stake in Comanche 3, which is located in Pueblo, Colo., and is among the newest coal plants in the country. The plant, which opened in 2010, delivers 60 megawatts to Holy Cross and its 52,000 metered customers. The eastern end of Eagle County, including Vail, has a peak winter load of 10 to 15 megawatts. Holy Cross can make a big step toward its goal without lifting a finger. The electrical co-operative—all of the customers of Holy Cross are also members and hence owners—gets a fifth of its power from Xcel Energy. Xcel, in turn, gets much of its energy from two older coal plants, Comanche 1 and 2, also in Pueblo. They began operations in 1973 and 1975. In early September, the Colorado Public Utilities Commission authorized Xcel Energy to close them about a decade early. Xcel plans to replace the lost generation with mostly renewables: wind and solar, backed by batteries but also additional natural gas generation, all of this by the end of 2026. That alone pushes Holy Cross’s current 39 percent clean energy portfolio to 51 percent. But the Glenwood Springs-based utility wants to dive deeper into decarbonization. The plan, called Seventy70thirty, identifies two tracks. One component calls for adding renewables from elsewhere, both wind and solar, using Xcel’s transmission capacity. Xcel will be adding wind and solar from the Pueblo area, and Holy Cross might well, too. As with Xcel, Holy Cross has cause to act quickly. The federal production tax credit for wind energy expires in 2019 and the investment tax credit for solar energy expires in 2023. “We see an opportunity to move right now and lock in some prices of renewables that are at historical low prices,” says Hannegan. He expects prices will continue to decline but more slowly as technology advances and the scale of renewable projects expands. In this strategy, Holy Cross benefits from a contract negotiated in 1992 with Xcel that gives it more flexibility than other co-operatives in Colorado. Steamboat Springs-based Yampa Valley Electric Association and Grand Valley Electric Association also get electricity from Xcel, but their contracts are all inclusive, unlike that of Holy Cross. The second broad component of Holy Cross’s strategy calls for substantial local renewable generation. The goal calls for 2 megawatts annually of new rooftop solar systems on homes and businesses. But solar farms, such as are now being considered in Pitkin County, are another component. The 5-megawatt solar farm proposed for 34 acres next to a sewage treatment plant several miles down-valley from Aspen is an example of what Holy Cross hopes to see happen every three years beginning in 2020. Where will the other solar farms go in the mountain valleys that prize open space and where land itself tends to be extremely expensive? There’s no clear answer. Hannegan says communities served by Holy Cross must ask themselves whether they want a portion of their electricity from local sources or whether they will be content to draw power from outside the region. Although these projects are more expensive than imported power, “we believe the local economic and resilience benefits they can provide will justify the added costs,” says Holy Cross. “That is part of a much larger and detailed conversation that we’d like to have over the next few months,” says Hannegan. The Lake Lake Christine fire that burned 12,588 acres last summer in the Basalt area will certainly be part of the conversation. Electrical lines to Aspen were imperiled. Local renewable generation can make communities, and not just Aspen, more resilient, says Hannegan. Battery storage—if still more pricey—could be part of this conversation of local renewables and resiliency. The impacts of transmission are already being debated in eastern Eagle County. There, Holy Cross wants to add transmission through Minturn. It has committed to a mile and a half of underground, which is far more expensive than overhead transmission. Conversations are continuing: the argument for the transmission fundamentally comes down to improved resiliency. But about that 750-megawatt coal plant in Pueblo that Holy Cross co-owns? Comanche 3 is the largest in Colorado, the newest, but also likely to be the last to close down. 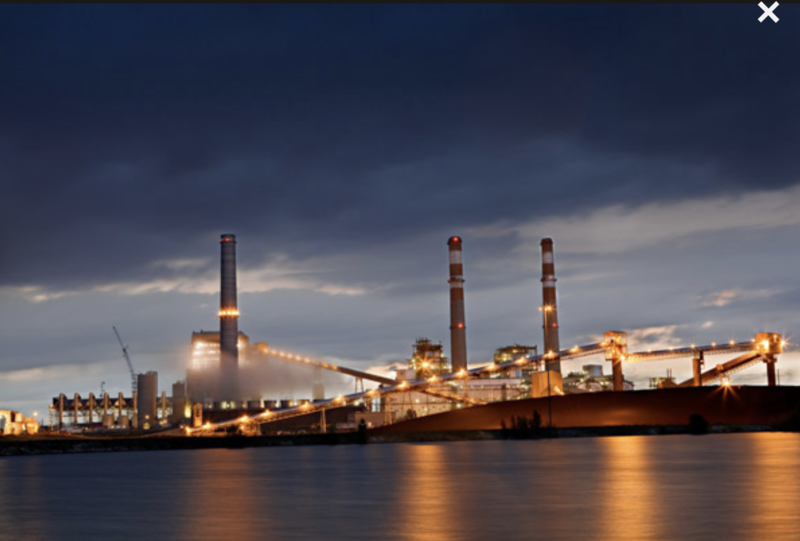 It ranks among the top 10 percent of coal plants with respect to low emissions of its nitrous oxide and sulfur oxide. In carbon dioxide pollution, however, it ranks only middling among coal plants. To attain its goals, Holy Cross hopes to sell the generation from the coal plant. Better would be to sell the 8 percent share if it’s to attain another goal, reducing greenhouse gas emissions of its power supply by 70 percent as compared to 2014 level. According to the WRI Greenhouse Gas Protocol Corporate Accounting and Reporting Standards, the utility will still be on the hook for greenhouse gas emissions for its share of Comanche 3 as long as it continues to have that 8 percent ownership. Unlike large utilities, the Environmental Protection Agency does not require utilities the size of Holy Cross to track their greenhouse gas emissions. Holy Cross has chosen to do so anyway. In charting this strategy of deep decarbonization, says Hannegan, Holy Cross believes it is executing the dominant wish of members, as reflected in a poll of 500 members. Holy Cross Energy currently gets 39 percent of its electricity from what it calls clean sources. 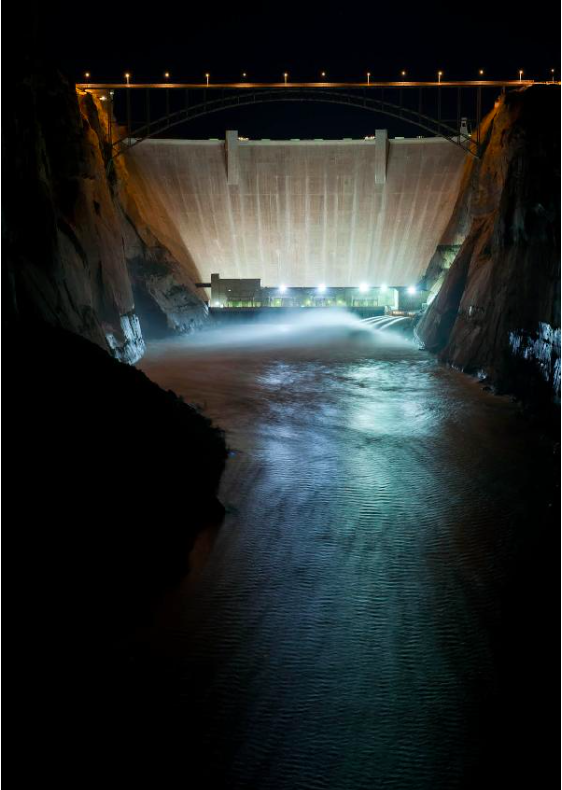 The largest chunk 26 percent, comes from Glen Canyon and other giant dams of the West operated by the federal government and distributed by the Western Area Power Administration. Aspen Electric and other municipal and co-operative suppliers also benefit from the WAPA power. Another 13 percent of Holy Cross power comes from local renewable generation: dabbles of solar here and there, but also the generation from a 10.2-megawatt biomass plant at Gypsum that burns dead beetle-killed wood. The most unusual project, pushed hard by the late Randy Udall, was capturing methane from a coal mine near Somerset. The methane has far more powerful heat-trapping properties than simple carbon emissions. The Aspen Skiing Co. agreed to provide a price support needed to subsidize the methane-capture project. This is not a renewable resource, but accomplishes the same thing, hence falls under the head of what Holy Cross calls clean energy.